What happen if one day a year, we all tell the truth to each other? What would happen if there was a day when cheating and lying were forbidden? It turns out that there is a day like this, and it takes place on July 7 each year. On July 7 they tell each other the truth in their faces. It is today to discover that things are different from what you thought and what they told you. It's the day to tell people what you really think about, tell your buyers the truth about the product you sell, come out of the closet, tell your partner that you love or want to leave, tell the real reason for your delay and say the truth instead of the lie you are used to Invent. If we admit it, we all lie on a daily basis and the day we tell the truth can complicate things, but the truth is our best friend. To tell the truth is to live like we really are, without masks and no plays. Although there is a price to pay, but in the end we are the ones who live with ourselves all of life, so isn't it better to live the way we really are? Why the day of telling the truth takes place on July 7? 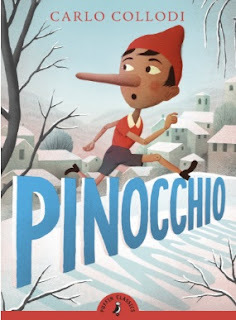 The reason for this is that on July 7, 1881, the first chapter of Pinocchio, one of the most famous liars in literature, was published by the writer Carlo Collodi (whose real name was Carlo Lorenzini). Whenever Pinocchio was lying, his nose would lengthen.